I don't consider myself a painter, but I took some painting classes at Ball State and I was fortunate to have Nina Marshall for my instructor for many of those classes. 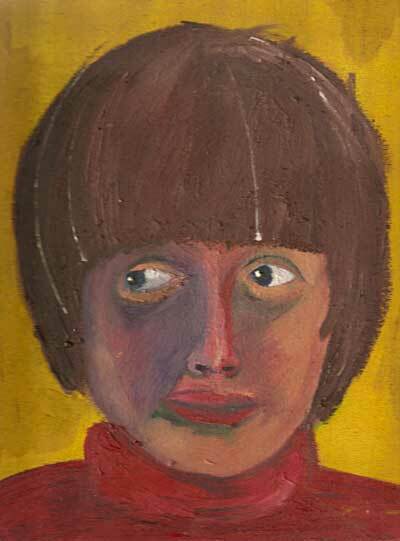 Nina taught me how to paint and was very supportive to me and to my work. She really believed in me and for that I'm truly thankful. Abe is one of my paintings from that period.